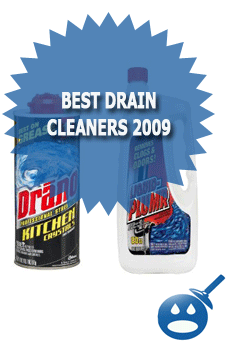 There are so many drain cleaners out there, how do you know which one to choose? With so many companies out there selling drain machines it can be confusing but the one name that you can trust is RIDGID. 99% of professional plumbers use RIDGID tools. The reason is because their products are made by nothing but quality materials and they are all protected by a lifetime warranty. One of their premier machines is the RIDGID K-60 Sectional Machine, this machine is built to last and can handle any tough clog that they come by. Take a look at what the RIDGID K-60 Sectional Machine Series has to offer. 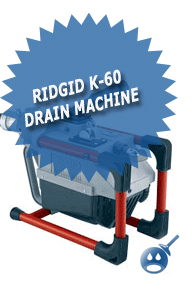 The RIDGID K-60 Sectional Machine is a machine that can be used on 1-1/4″ to 4″ drain lines. It is compact in size and can be used either on commercial or residential cleaning. The K-60 is perfect for commercial septic tank vacuum trucks too. The best part is sometimes the places where these drain are located can be small and sometimes they cannot accommodate the larger machines, so the K-60 will work perfectly in these situations. Don’t let the size fool you; the K-60 has plenty of power to cleanout any drain line. These machines are easy to use and they comes with a fast acting cable clutch that will maximize how much control the operator of the machine has. The machine has a push down handle that will spin the cable at an impressive 600 rotations per minute. If you need to make an adjustment, no problem the K-60 has a simple knob that will spin 7/8″ and 5/8″ diameter cable in just seconds. When you use the 7/8″ cable it is capable of cleaning drain lines between 2″ and 4″ and in a depth of 150 feet. 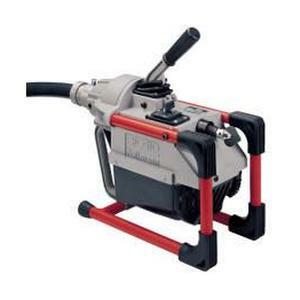 When using the 5/8″ cable it is capable of cleaning 1-1/4 to 4″ drain lines and up to 125 feet. If you have ever used one of these machines before, you know that you will have to clean the machine out before the next time you need these. Often, people wait until the next job because they don’t want the hassle of cleaning out the machine. In the K-60, cleaning is simple; simply remove the 2 bolts to gain access to the jaw set for easy cleaning and replacement. The K-60 uses a 1/2″ horsepower motor and it has been approved by CSA and is UL approved. There is another machine in this series, the K-60SP-SE. The K-60SP-SE offer the K-60Sp Machine, an A-1 Operators Mitt, an A-60-12 Rear Guide Hose. The unit also comes with A-62 Cable Kit that includes a Cable Carrier, and Five sections of 7/8″ cable. The K-60Sp-SE comes with a A-61 Tool Kit which includes a Straight Auger, a Funnel Auger, a Spade Cutter, Retrieving Auger, a Sharkstooth Cutter, a Tool Box and a Pin Key. The options for the K-60SP and the K-60SP-SE are a machine with an A-1 Operator’s Mitt, an A-12 Pin Key and a Rear Guide Hose. These units run from 115 volt-220 volt and 240 volts. These machines are made by a company that is well respected in the industry. There are many professional plumbers out there that swear by this machine. There are some plumbers that have more than one. These are very dependable and reliable machines and if you take proper care of them they will last you a long time. RIDGID machines are made from quality parts and materials; RIDGID doesn’t sell any product that does not meet all of the standard requirements. If you as a homeowner have ever encounters with stubborn drain clogs, wouldn’t it be great to have a machine that you can depend on to remove the toughest clogs from your home. You may not think that you will ever use a machine like this but the fact is everyone has clogs and while it may take some simple Liquid Plumber, there are going to be clogs that you just can’t fix with Liquid Plumber or a hanger. It is very important to read the manuals that come with these units. These machines are not cheap and they have an excellent reputation. These machines are perfect if you own an apartment building or if you are part of a maintenance team. RIDGID has been in business for many years, all of their products are quality and they are built to last. You never have to worry about machines breaking down or getting frustrated using machines that are not made from the same quality. 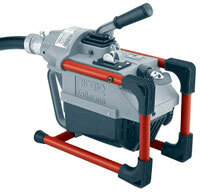 Purchase a drain-cleaning machine that has a name brand like RIDGID to stand behind their products. The K-60 offers great features such as rooftop vent stack and a rear handle that is perfect for simple transportation from ladders to roof tops or down into basements. 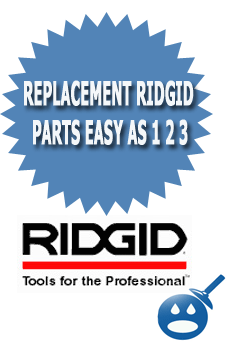 RIDGID offers a Full Lifetime Warranty on their products. Choose the RIDGID K-60 Sectional Machine, it has a one of a kind design that makes the machine easy to control and easy to clean. Make the smart choice, make the RIDGID choice for all of your plumbing needs.